Jennifer Sharpe is in the top 5% in the world for her elite training as a C.H.E.K. Practitioner, nutritional/supplement healer, whole body health practitioner, lifestyle coach, and holistic specialist for balancing hormones. 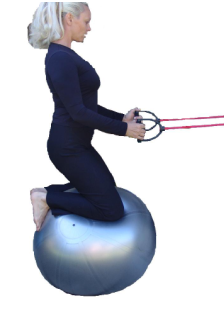 She specializes in rider conditioning and rehabilitation. Welcome to the beginning of a stronger, healthier life. You are holistic entity comprising the mind, body and spirit. Your body is a system of many complex inter-related systems that all affect each other. When this complex system is out of balance, it gives a trained Practitioner red flags, indicating bigger issues. How you live, what you eat, the exercises you choose and how you deal with stress can make you or break YOU. As a Sharpe Fitness Client, you will be heard and shown the best options for your goals. A Corrective High-performance Exercise Kinesiologist (CHEK) Practitioner is a highly skilled specialist in human biomechanics, orthopedic rehabilitation, sports performance and one of the finest and most highly trained exercise therapists in the world. CHEK Practioners are the result of intensive training created from all of the branches of orthopedics, chiropractic, massage therapy, physical therapy and alternative therapies studied from the inside out. Jennifer’s approach involves assessing each person on a physical, mental and emotional level.